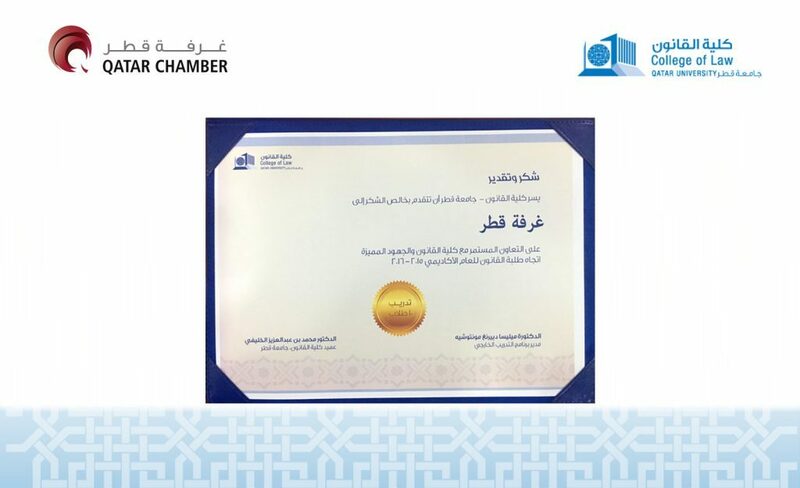 Qatar University College of Law (QU-LAWC) has given Qatar Chamber (QC) a certificate of appreciation for training 10 of its students as part of an external training programme of the college. The Qatar International Centre for Conciliation and Arbitration at QC had provided training to the 10 students of QU-LAWC in order to spread awareness of related issues and equip the students with the necessary professional skills. The training focused on both the theoretical and practical aspects of commercial arbitration and included field visits to some courts to introduce the students to the nature of work there.